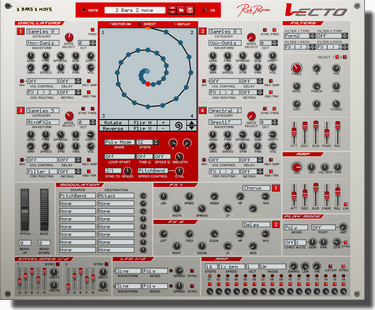 Vecto is a four-oscillator vector synthesizer that allows users to draw in vector paths to shape the sound in many different ways. Included are a large range of oscillator waves, plus sampled waveforms and lots of different modulation options and preset vector paths to help create the unique Vecto sound! Due to the interesting range of waveforms, from classic analog modelled ones, Additive, Spectrum and high quality sampled waveforms, the sound options are dazzling deep! Two filters are added with 28 Filter types and 2 top notch effect processors finish the audio route with blister. A lot of interesting modulation options and creative features are added in Vecto, including an arpeggiator. 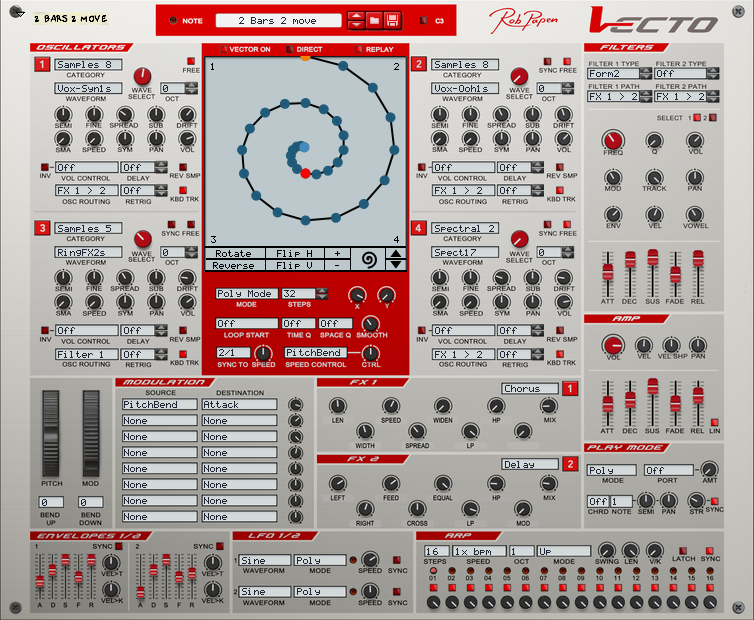 Another dedicated RE synthesizer built by the team of Rob Papen, to let Reason sound as never before.